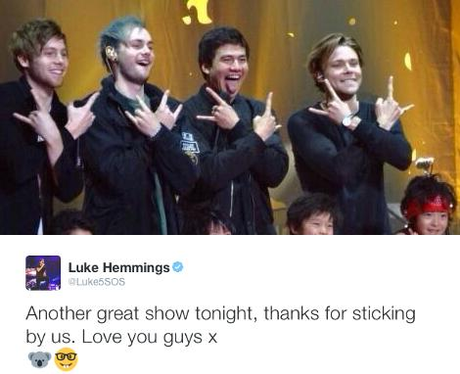 Luke Hemmings thanks his fans for sticking by them during their tour! 5. Luke Hemmings thanks his fans for sticking by them during their tour! 5 Seconds of Summer fans are one of the most loyal fandoms on the planet, so it's nice to see the boys fully appreciating their support.